On October 6, re-run, by-election, new, and first elections was held in a number of municipalities in Azerbaijan. 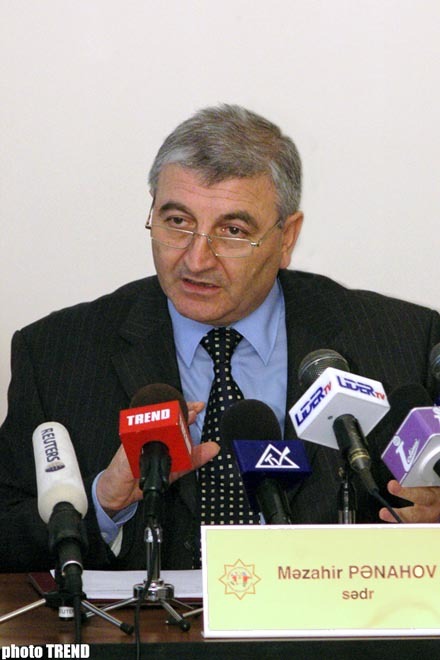 In this connection, Mazahir Panakhov, Chairman of Azerbaijan`s Central Election Committee (CEC) has announced the preliminary results of the elections during the press-conference held after the midnight today (on October 7), Trend reports. CEC Chairman pointed out that totally 805.000 voters voted at 940 polling stations in 603 municipalities of the country. It means that 33.90 percent of the voters took part in the elections. Totally about 10.000 local and international observers observed the elections, told Mr. Panakhov. He also pointed out that the Committee received totally only 2 complaints concerning violating the election process. These violation facts were solvd on the spot. CEC Chairman also told that up to the moment, CEC has received 680 protocols from has been from 603 municipalities. Totally 977 protocols were to be received by the Committee. However, since the election results counting are underway in some of the constituencies now, several protocols has not been delivered to the Committee yet. Mr. Panakhov also pointed out that the municipal elections returns are expected to be made public on October 8. Within 20 days since the day elections took place, the Central Election Committee is to proclaim the elections official final results, he told. CEC Chairman told that the elections were held fairly and transparently.